Once you have joined, it will be available on all of your devices. 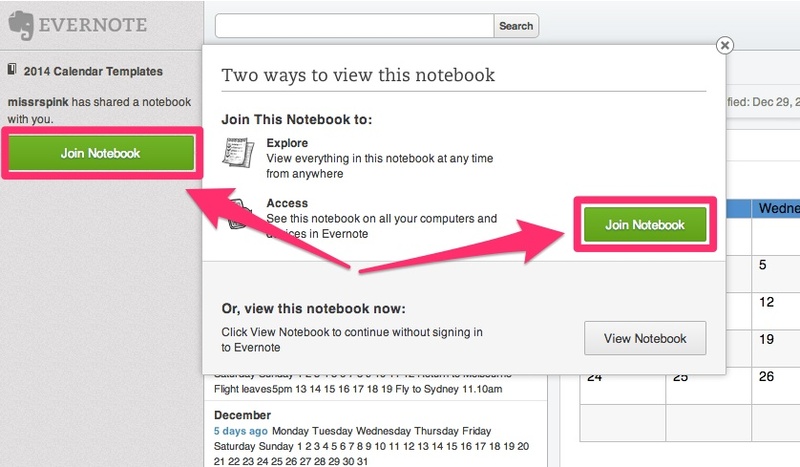 Open up your desktop version and the joined notebook will appear after sync. Follow the next steps to save to your own account so you can move and edit to make the templates work for you. 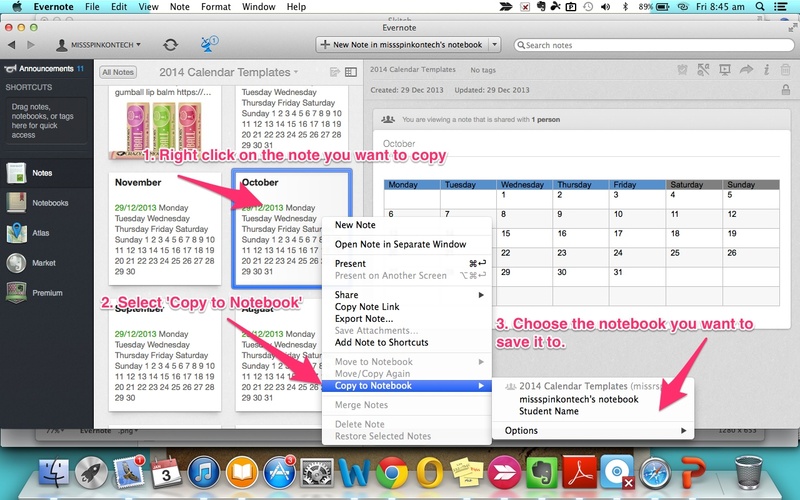 Once you have copied all of the notes you need, you do not need to keep the joined notebook in your account. 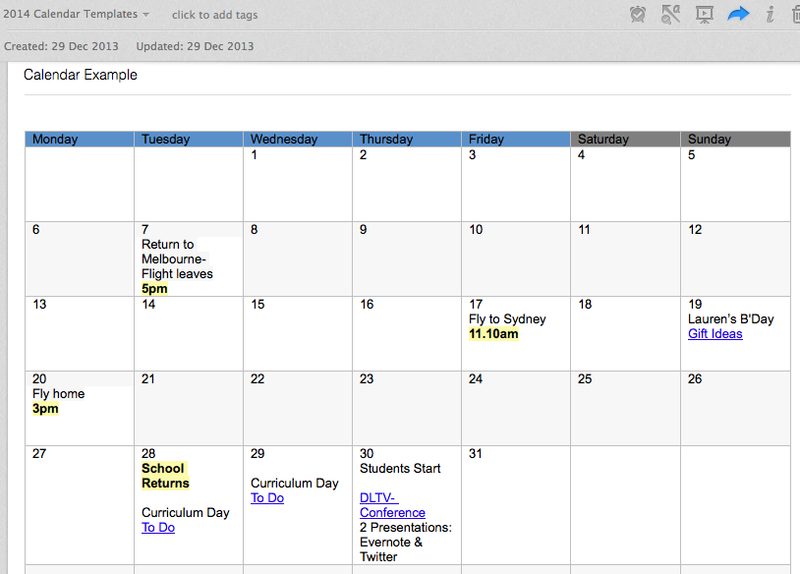 Simply right click and select ‘Leave Notebook’ and it will no longer appear. These look great but was not able to copy the templates. They appear to be locked. Might you be able to provide the steps to complete the move? You can export the note to an Evernote XML format (right click on the note) and then open it up-it will open in a new notebook called “Import My Notes”-you can then modify them. I have updated the post with instructions, hope this helps. I am also having trouble copying the templates as they are locked. Not sure what to do about that? Problem Solved … Had forgotten this copying function needs to be completed throughout the desktop version of Evernote (as opposed to the web version.) From there, you can open the shared folder, select the notes you want to copy, and then copy them to the folder of your choice. I did this and everything worked out nicely. Thanks again for your work!